If you are interested in a study or internship program abroad, please talk to a member of our faculty or consult the Center for International Education website. Our faculty have connections to India, Thailand, China, Japan, Taiwan, Indonesia, Israel, Turkey, Mexico, Canada, Uganda, Ghana, South Africa, Nigeria, UK, Germany, Jordan, etc. The 'Ayn Gharandal Archaeological Project seeks to contribute to our understanding of Jordan's rich and diverse cultural heritage through documentation and publication of the archaeological materials and site of 'Ayn Gharandal in the Arabah Valley. From 2011-2014, Professor Rosalind Hackett, with Dr. Tricia Hepner in Anthropology, led a study and service abroad program in Gulu, northern Uganda. If you are interested in travel to northern Uganda or an internship, please contact Rosalind Hackett. 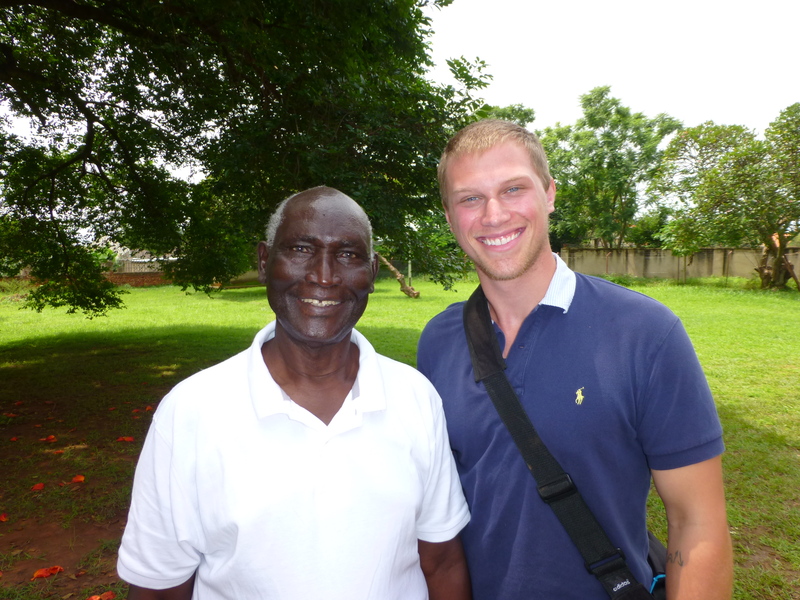 Several of our majors interned at the Acholi Religious Leaders Peace Initiative. "Two years ago I made a life-changing decision that has opened many doors for my future goals. After choosing to study Religious Studies at UT, I was presented with the opportunity to study in Uganda under the Gulu Study and Service Abroad Program (GSSAP) (under the leadership of Professor Rosalind I. J. Hackett and Associate Professor Tricia Hepner [Anthropology], along with Dr. Randal Hepner, Senior Lecturer in Religious Studies). My wonderful experience with the NGO that I interned with in Gulu, northern Uganda called the Acholi Religious Leaders Peace Initiative (ARLPI) helped further my research on contemporary topics regarding the connection between religion and sexuality. I was able to interview religious leaders of the Anglican Church and Islamic community. Aside from my own research, ARLPI quickly adopted me and instructed me on how their organization is geared to restoring peace in post-conflict northern Uganda. I was invited to attend trips "out into the field" to get first-hand experience of teaching local communities how to resolve their own disputes and educating them about the government's laws regarding land wrangles. GSSAP, along with the help and generous hospitality of ARLPI, transformed my academic career into something I never would have expected I could achieve.